Say hello to Jill Alford, Senior Manager of Events with Globoforce. 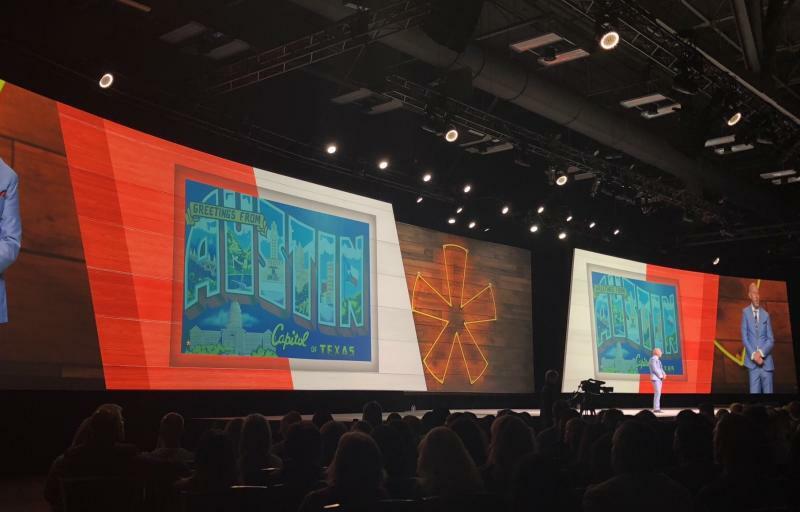 Here’s her take on Austin and why it was the ideal city to host the 2018 WorkHuman conference. How did you get involved in the event planning industry? It was purely by chance. I was working for a small computer distributor in their marketing department when we got the opportunity to exhibit at PC Expo and I was put in charge of the exhibit. I had no experience with tradeshows but figured it out with the help of a local exhibit house. When I walked into the Javits, I was overwhelmed with what seemed like total chaos. Two days into the setup, I realized how perfectly choregraphed it really was. I knew I had to be part of it. I had found my people. Two years later, I joined George P. Johnson, a global event marketing company. One of my first assignments was to manage the IBM exhibition space at PC Expo. It was like a dream come true. The rest is history. You’ve been with Globoforce for three years. What brought you to the organization? I love the company&apos;s mission to make work human for millions of people around the world. I was drawn to the company’s culture of recognition, appreciation and respect for each other. What is the purpose and/or mission? Pioneer of the WorkHuman movement, Globoforce makes work more human for millions of people and organizations worldwide and is the leading provider of human applications, including its award-winning Social Recognition solution. Through its WorkHuman Cloud suite of products, companies can strengthen employee performance and relationships between people and teams on a more positive, socially connected level – in tune with how work gets done today. Founded in 1999, the company is headquartered in Framingham, Mass., and Dublin, Ireland. We work with some of the largest, global enterprises all over the world. We have customers spanning a wide variety of industries including pharma, healthcare, financial services, tech, and oil and gas to name a few. Tell us about your conferences and events. WorkHuman is our annual conference. We also have a series of WH Regional events as well as participating in industry events globally. At WorkHuman 2018, your team incorporated various aspects of Austin throughout the event, including live music. We collaborated with local Austin based artists belonging to different music genres [to produce a music video promoting the event]. The idea was to show how a diverse group of individuals-- when they respect each other and can come together, create an amazing experience. Since we were in Austin, which has such a culture of music, what better way to illustrate our point. We also had local bands playing at our evening events and we had a guitarist playing at the registration and in WorkHuman Central. Music is important because it unifies everyone. It transcends cultures and speaks a common language. Derek Irvine at WorkHuman 2018, courtesy of Globoforce. Globoforce donated $15,000 to local charities during the 2018 WorkHuman program. Can you share more about that project? 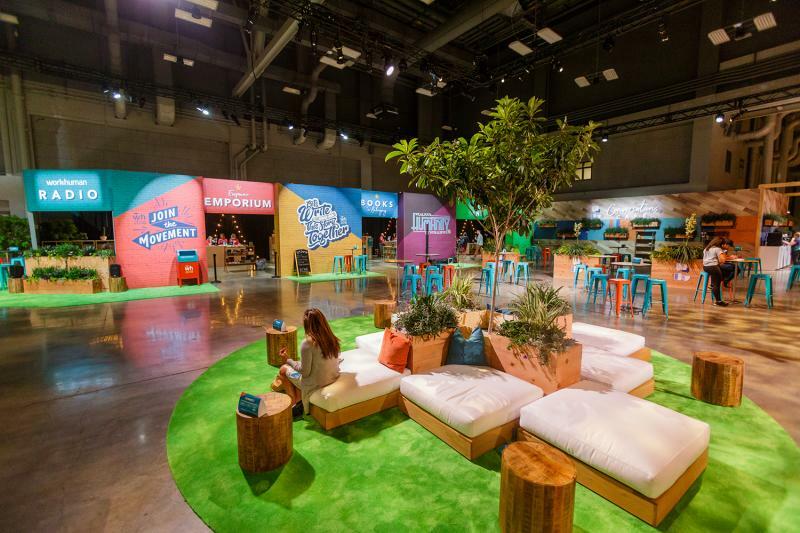 We created a recognition experience at WorkHuman, called The Gratitude Bar, which allowed our attendees to select from three [local] charities to make donations: Equality Texas Foundation, Girls Empowerment Network, and The SAFE Alliance. We gave $5,000 each to the three charities. Using the Globoforce platform, we encouraged attendees to thank and recognize each other. The experience was meant to elevate the simple act of saying thank you and help create connections between strangers who all shared the WorkHuman values: Authenticity, Connection, Positivity, and Mindfulness. Through this experience, we hoped to illustrate the emotional impact recognition and gratitude could have within organizations. Were there other ways in which you incorporated aspects of Austin into the 2018 event? We created an Austin vibe throughout the event. We brought in food trucks into WorkHuman central to provide lunch for the attendees. Our graphics were inspired by local artwork in Austin. We tried to keep things a little eclectic, playing off of Keep Austin Weird. What do you consider your greatest accomplishment connected with WorkHuman in Austin? How did you accomplish that? One of our biggest accomplishments was hosting the #MeToo panel. The momentum the #MeToo movement has gained is a clear indication that workplace harassment is not confined to the entertainment industry alone. We saw an urgent need to act to put an end to discrimination and harassment in the workplace. What was the best thing about the experience in Austin? We brought the outside in so our attendees could feel like they were in Austin regardless of whether they were in WorkHuman Central or the streets of Austin. We transformed the convention center completely. What is the most rewarding event you have ever planned? Why? I’d rate this year’s WorkHuman [in Austin] as the most successful so far. The energy the attendees exuded, the content, the keynote speaker all contributed to a rewarding and fulfilling experience for our attendees. Do you have any advice for planners on executing similar concepts in Austin (or other cities)? Spend time in the city so you can get to really know the culture and understand the local vibe. It can be difficult to find the time for a leisurely visit when on a site visit but I highly recommend it. If you can, spend extra days to feel it. Work with visitors’ bureaus to help you navigate the local landscape. Pick out the gems among the city and figure out what venues would be best for you. Visit Austin’s "Planner Perspective" series highlights successful events held in Austin and the meeting planners behind those programs. Check out more of the reasons why other planners are counting on Austin to elevate the attendee experience.